CALGARY, AB – Big Rock Brewery has announced the release of a new limited edition beer in the Brewmaster’s Edition Series. 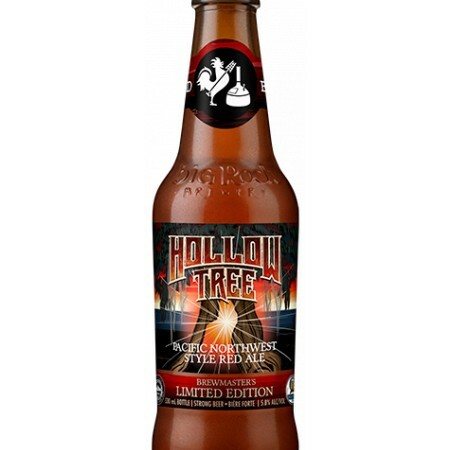 Hollow Tree Red Ale is a 5.8% abv and 55 IBU Pacific Northwest style ale originally brewed at the Big Rock Urban location in Vancouver by brewmaster Jody Hammell, a version that took medals at the 2015 BC Beer Awards and 2016 Canadian Brewing Awards. A refreshing brew to enjoy after a day exploring our beautiful backyard. Hop backing whole Cascade leaf hops brings out their citrus and flowery characters. The rich caramel and toffee flavours are courtesy of Carastan and Munich malts. Hollow Tree Red Ale is available now in bottle six-packs in Alberta, British Columbia, Manitoba and Saskatchewan for a limited time.